Posted in Uncategorized | Comments Off on Polytunnel raising 30th June! Sims Hill Members Meeting 25th June, your presence and input needed! Greetings from Sims Hill! We hope that you are all enjoying the lovely growing weather and looking forward to the end of the hungry gap. Our vegetables are looking beautiful (so hang in there, we know last week’s box wasn’t very exciting!) 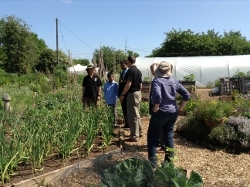 and we had a lovely response from Tim’s “Blue Finger” walk at Feed Bristol’s Get Growing Trail last Saturday. Our next members’ meeting will be Tuesday 25th June at Horfield Meeting House, 300 Gloucester Road, BS7 8PD, see map, starting at 7:30 pm. We need to have as many members there as possible because we have some decisions to make! The main agenda point will be a lively discussion brainstorming a new distribution system for Sims Hill veg. Grower Tim will be inputting his experience from the Stroud CSA and we want to hear as many ideas from our members as possible about how we can cut down on waste and paper bags, and lso amake the experience of collecting Sims Hill veg as pleasant and convivial for all of our members as we can. Distribution: Is there a better way? Membership update (Thanks to all of our new members who have recently joined!) We are getting to our goal of 50 full shares, but we need to keep at it! We want to thank all of our members, both old and new, for their continuing support through last year’s tough growing season. If all goes well, we are looking forward to a much better season this year, but Sims Hill isn’t just a veg box scheme. 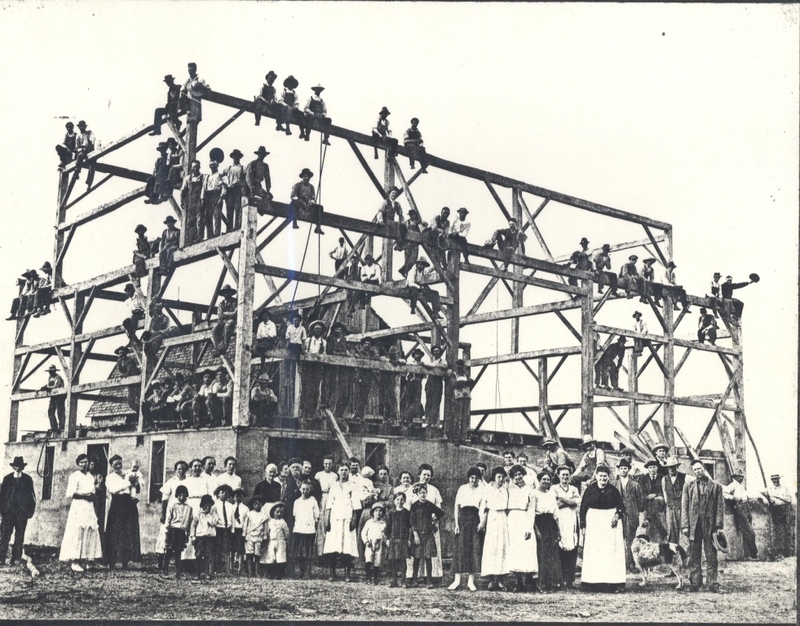 We are a member-owned and -led cooperative, and we can’t keep going without your participation and input into how we run the business. We need to hear your voice! Posted in Archive, News | Comments Off on Sims Hill Members Meeting 25th June, your presence and input needed! Blue Finger “living landscape walk and talk” Saturday 8th June as part of Feed Bristol Get Growing Trail! In the spirit of the wildly popular Patrick Whitefield living landscape walk that was held in March, Sims Hill grower Tim Lawrence will be coordinating a “Blue Finger living landscape walk and talk” as part of the Get Growing Trail activities at Feed Bristol on 8th June. The walk will begin at 12 at Feed Bristol, and leave for Sims Hill at 12:30. We will be back to the Feed Bristol site in time for lunch. The Blue Finger Alliance Local Food Forum will begin at 2 pm. 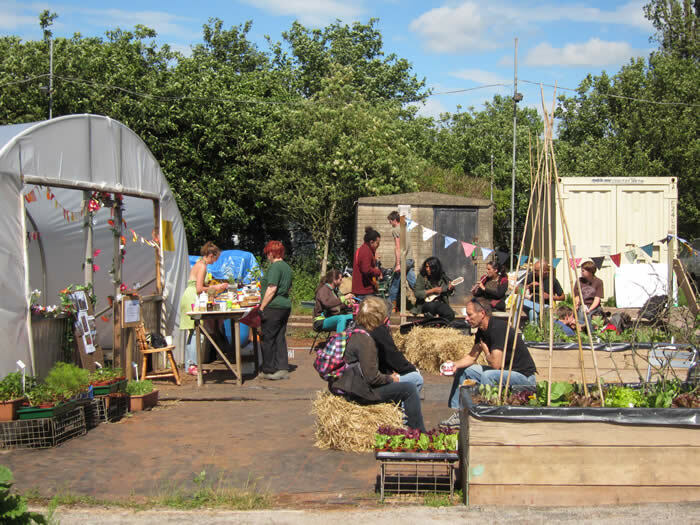 More about the Get Growing Trail activities at Feed Bristol here. Posted in Archive, News | Comments Off on Blue Finger “living landscape walk and talk” Saturday 8th June as part of Feed Bristol Get Growing Trail!